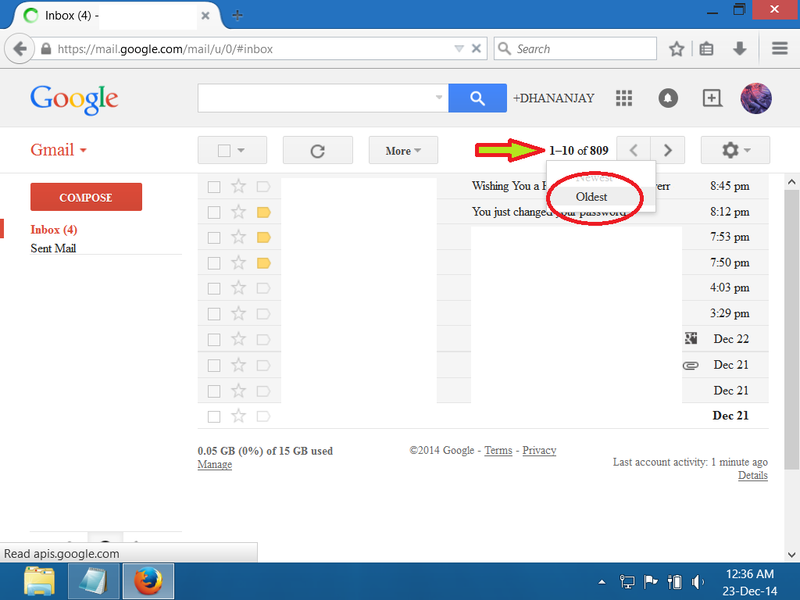 Are you Using your Google Mail account for long time ? want to recover your old Gmail memories ? So today i am gonna share few methods which can help you to track down your Emails. It's like Waking up a ghost from graveyard. 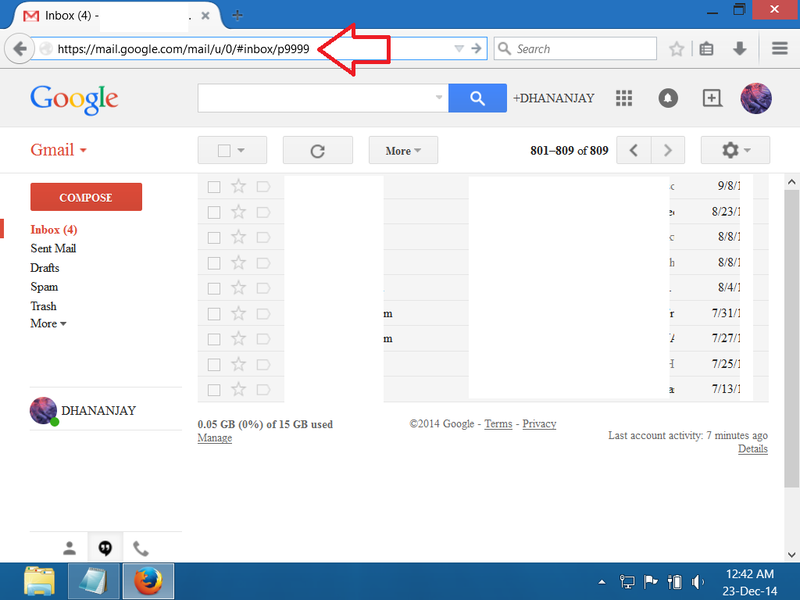 There are two web interface for checking emails using your browser actually it's three including m.gmail.com i use it when i want to reload mails faster. So as you can see on Top left area .. it says i am on 1st page and there are 809 pages all page includes 10 emails that means i have approximately 8 thousand emails ! excluding junk mails. all emails are important because i always use a free service like 10minutemail.com when some websites asks me for my email address so in return they can have opportunity to spam. Important : never ever signup Surveys that asks to install players or any kind of software . there are lots of fake surveys out there which comes with virus or other malicious stuffs . if you click at "1-10 of 809" location new options will appear . click on Oldest and you will see Ghost mails ! 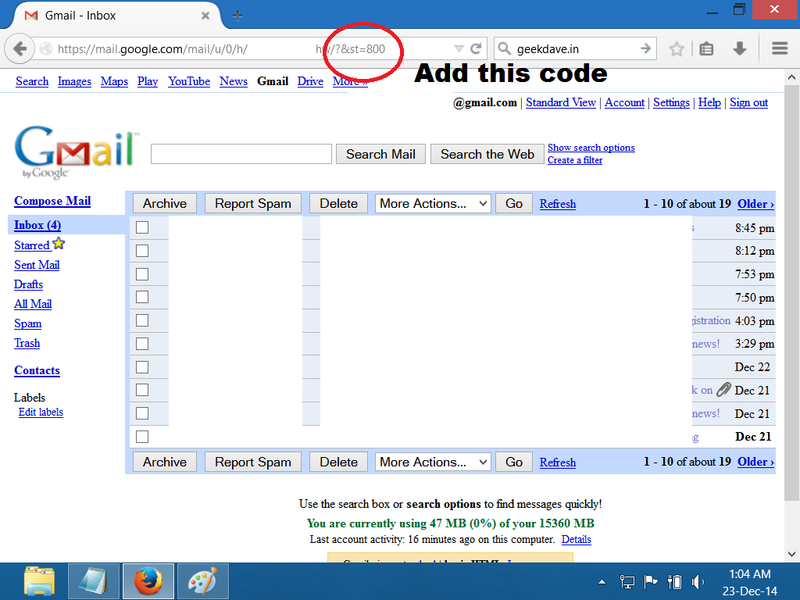 I have modified Gmail link for you to directly access oldest emails . It's simple just add p9999 or p8888 whatever you want . but what will you do when you have a slow internet connection or have crush for basic Gmail HTML design ? you have to start from 100 or maybe from 1000 ! It depends on amount of mails you got in your box. P.S. : Unfortunately. Currently there is no button or way to Access your oldest mail in Gmail . i hope my work will help you . Everyday there are many people who surf it for the first time ! so i made this for those people and for those who are not aware of it .spread it !